The Hatch is Back and it returns with a distinctly aggressive, angular style that is set to excite. We invite you to come see the Honda Civic Hatchback near Atlanta, Georgia. With the turbocharged engine, the Civic Hatchback will set your heart racing. The Civic Hatchback is Bold, Brillant and Beyond. The Honda Civic Hatchback is available as the LX, Sport, EX, EX-L Navi or Sport Touring model. We have a wide selection of new and used Civic Hatchbacks to choose from. Browse our entire inventory online to compare prices, trim levels, color options and see vehicle details. Honda financing is available in our auto finance center. Our Honda finance experts can help you find dealer special offers so you are sure to get our very best price. We will also explain all available options for buying or leasing a Honda Civic Hatchback and will arrange affordable monthly payments. 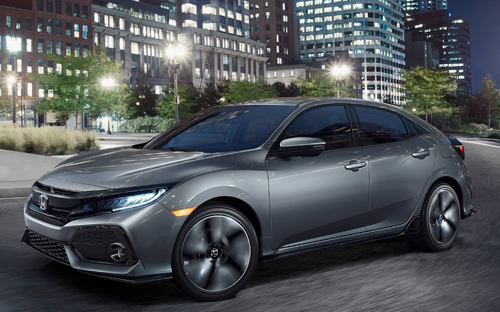 We hope that you stop by, meet the team and test drive one of our Honda Civic Hatchback near Atlanta, GA.